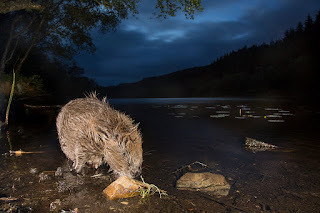 Today came the depressing news that Scottish Natural Heritage's (SNH) attempts to, as they put it, relocate beavers living on the river Beauly, culminated in three animals being trapped, two of which have subsequently died. The reason given for the relocation is that the beavers had been illegally released and despite the fact that the beavers have been peacefully living on the river Beauly for several years without causing any problems, it would seem that human legalities are considered more important than animal welfare. Beavers are considered superb ecosystem engineers because they create and manage wetland habitats ­– benefitting insects, fish, bats and birds. Their small dams help regulate water flow. Their felling of trees provides dead wood that benefits many organisms, and stimulates regeneration by causing new shoots to grow from tree stumps. In Europe, 24 countries have reintroduced beavers, resulting in significant ecological benefits. In November 2016, Ms Cunningham announced that the Scottish Government was minded to allow beavers to remain in Scotland, following the establishment of two beaver populations in Argyll and Tayside. Ministers agreed that the species will receive legal protection, in accordance with European legislation, and will be allowed to expand their range naturally from the Argyll and Tayside populations. Ms Cunningham also stated that no unauthorised releases would be tolerated and that beavers should be actively managed to minimise adverse impacts on farmers and other landowners. 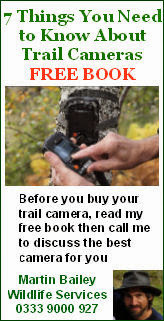 Trees for Life is an award-winning charity working to restore the native Caledonian Forest and its unique wildlife to the spectacular Highlands of Scotland, including to its 10,000-acre Dundreggan Conservation Estate. The charity has been preparing for the return of beavers for more than 25 years. This has involved creating suitable habitat by planting aspens and willows along loch shores and riverbanks. In 2015, the charity commissioned an expert survey of some of the key sites where it works, which confirmed that these locations could support beavers. The charity is currently raising funds for a project to Bring Back the Beavers to the Caledonian Forest in the Highlands. 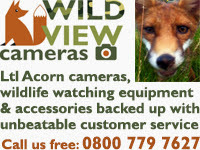 The charity’s rewilding activity also includes working for the return of rare woodland wildlife, such as red squirrels, and plants, and carrying out scientific research and education programmes. Much of the charity’s work is carried out by volunteers and is funded by its members, and by charitable trusts, corporate supporters and other donors. Work to relocate a group of beavers living on a river in the Beauly area, after being released illegally, has been suspended until early next year, Scottish Natural Heritage (SNH) confirmed today. Three beavers have already been captured in the area. One of the animals, a healthy kit, is now being cared for at the specialist Scottish SPCA wildlife centre in Fife, where it will join Timber, a beaver kit rescued after being caught by a dog on Tayside. All being well, there are plans to release the two young beavers at the site of Scotland’s official reintroduction project at Knapdale Forest in Argyll. Two adult beavers died after screening by vets. Vets have established that the first animal was suffering from an eye deformity and a suspected infection. Work is underway to establish the cause of death of both animals. Official beaver reintroductions are managed carefully to ensure populations are healthy, sustainable and large enough to minimise the risk of inbreeding. The Scottish Government announced last November that Ministers were minded to allow beavers to remain in Tayside and Argyll and expand their range naturally. However, it will remain a criminal offence to release beavers without a licence. 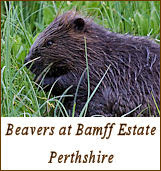 The latest information suggests only a small number of beavers remain in the wild in the Beauly system, including an adult beaver and kit. Trapping and screening techniques adopted by SNH have been used safely in many previous cases, and were undertaken by highly qualified professionals. Experts in Scotland have previously been involved in more than 70 beaver screening events with only one fatality, a sub-adult captured during the Tayside Beaver Study. As part of any licensed reintroduction beavers are normally health-checked and screened for diseases, including a tapeworm (Echinococcus multilocularis) not currently present in the UK and a public health concern. The screening also makes sure the beavers are not the North American beaver species, which is already posing conservation problems in other parts of Europe. Beavers were hunted to extinction in Scotland around 400 years ago. 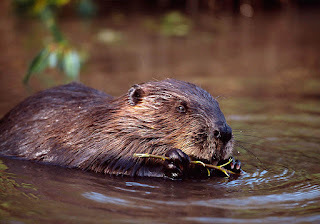 In May 2008 the Scottish Government gave permission to the Royal Zoological Society of Scotland and the Scottish Wildlife Trust for a five-year, scientifically-monitored, trial reintroduction of Eurasian beavers to Knapdale Forest in mid-Argyll. 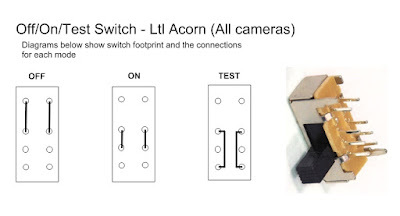 SNH coordinated the independent scientific monitoring of the trial. Beavers have been in Tayside since at least 2006, and are thought to originate either from escapes or illegal releases from private collections. In March 2012, Scotland’s Minister for Environment, Stewart Stevenson, opted to allow the Tayside beavers to remain in the wild for the duration of the official trial reintroduction of beavers in Knapdale, Argyll. A family of beavers on the Beauly was first reported to SNH in the summer of 2017 although single animals have been reported in the past. These have been promptly removed.